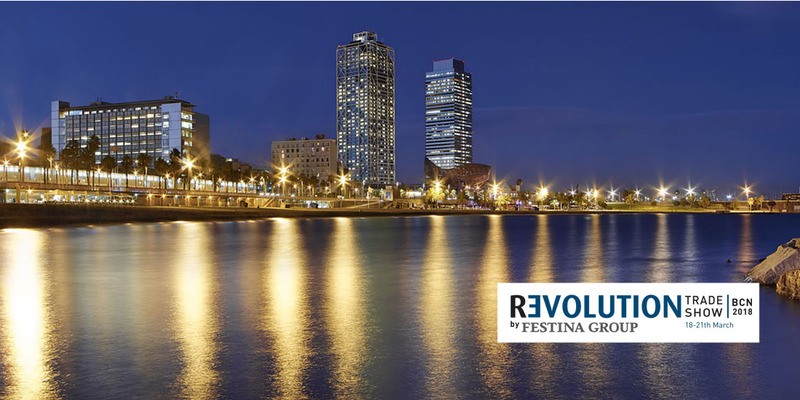 For the first time in the history of our company, the Festina Group organizes the Revolution Trade Show, a meeting point to present all our newness in a privileged environment in our iconic home town of Barcelona. Once again, with this significant change we want to adapt to new times with a great event that will take place from March 18th to 21st, 2018 in the exclusive facilities of the Hotel Arts of Barcelona on the shores of the Mediterranean. Revolution encompasses not only to change or to substantially alter the way something is treated or celebrated but also the effect of that change. Let’s write together a new chapter of our history!